Our service is above all,we detail clean your home each time ! Green Clean Phoenix offers residential cleaning options including detailed cleaning, move in/out cleaning, monthly cleaning or weekly cleaning , we customize the service to meet your family’s individual needs,and yours. we use only Eco friendly non toxic products, our crew will come on time and will bring with him the same service and smiling faces. we will listen to you and will built the cleaning program of your home with you, if you need to change your schedule,no problem. our prices are competitive and will not change every month. 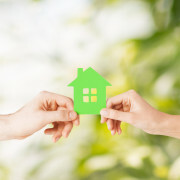 your kids and pets will be in an healthy environment .cleaning is our passion and way to make the world a better place.